In 2003, Vincent Gallo released a movie called The Brown Bunny. 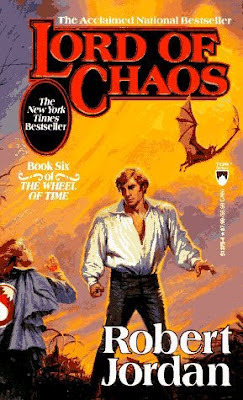 It's eminently forgettable except for one rather explicit scene we won't talk about here and has no relevance to the Wheel of Time at all, but I bring it up for a reason that many people might not remember. The one thing that sticks out to me about The Brown Bunny is a kerfluffle that occurred between Gallo and Roger Ebert. Ebert walked out of the screening at Cannes, calling it "the worst film in the history of the festival" and causing a pretty crazy war of words. As you see in the review I linked, though, Ebert found a lot to like in the movie after Gallo did some serious editing. Among the parts excised - over 8 minutes of bugs splattering on a windshield as Gallo's character drives through the desert, and nearly 5 minutes of cars racing aimlessly around a track. About 2/3rds of the way through Lord of Chaos, Ebert's review flashed in my head. I literally haven't considered this movie in years, and I've never actually seen it, but nothing perfectly describes the Wheel of Time better at this point. There is a good, perhaps great, story to be found in the pages of this series. Unfortunately, we have to suffer through thousands of pages of ultimately meaningless fluff to get there. 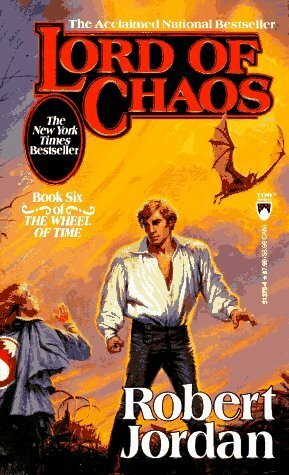 There are things I liked about Lord of Chaos. I really felt the Egwyne-elevated-to-Amyrlin-Seat was the highlight of the book, Rand's kidnapping and rescue at the end was solid, and there were glimpses of great scenes and moments with Rand battling Lews Therin in his own mind. The problem, as always, is that it takes forever to get to those points. It's ridiculous. I'm now 6 books in. I've effectively gotten through half of the Jordan-penned stuff. Part of me wonders if a new version of this series would be useful - where someone who knows a great deal about the universe and the books could just trim a lot of the fat and find the good book and good story that I know exist somewhere here. Make it about Rand, about the Aes Sedai, and about Mat at the Three Rivers, and be done with it. Cut the excess, nuke the 30 page chapters where literally nothing happens, and just get on with it.